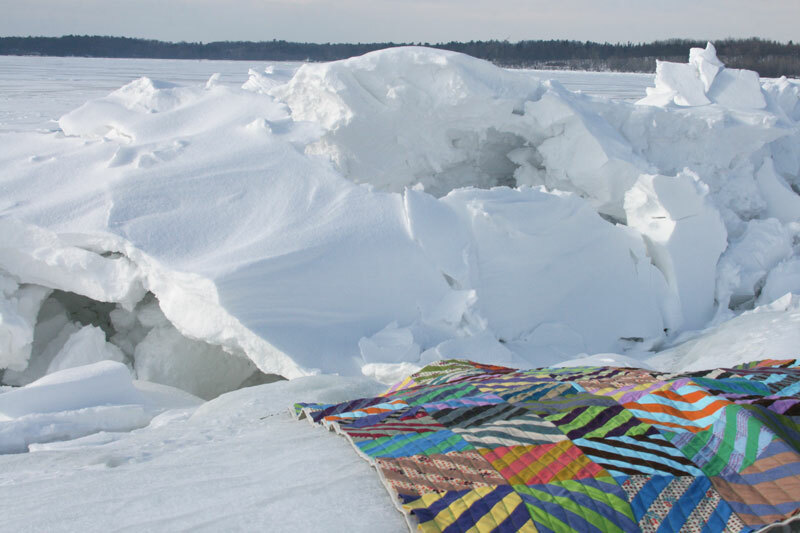 This quilt was mostly finished the day I found out that Lake Champlain had completely frozen over, and I decided that mostly finished would have to be good enough. If you’ve been following along, you’ll know that I love it when the lake freezes over, despite that it means we’ve had a really cold winter. 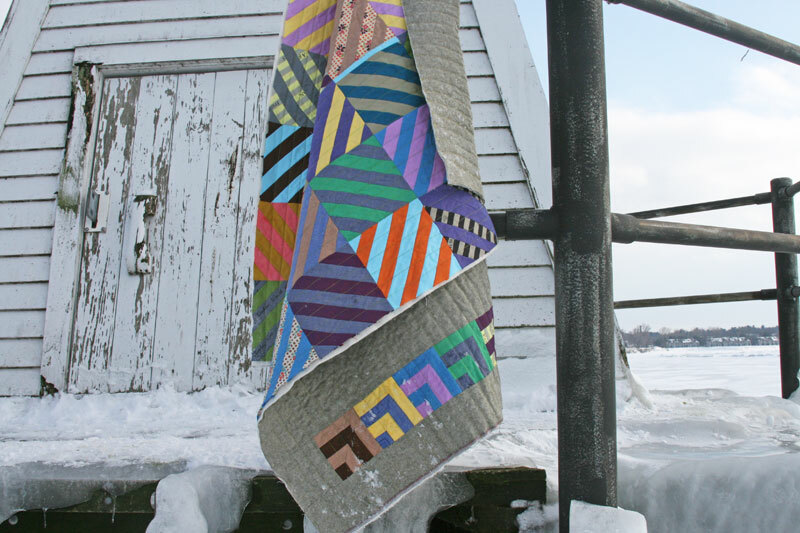 It froze last year, which was the first time in seven years, and I took this Lizzy House quilt out there for photos. This year there was less black ice and more snow, which isn’t quite as cool (my sister laughs and says that we could be in a snow covered field anywhere, but trust me, the lake is under there!). I know it’s not for everyone – Morgan won’t join me out there – but I think it’s pretty novel. Anyway, the quilt! 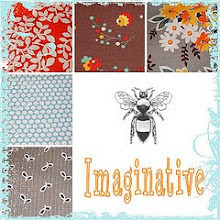 It’s made up of a great upcoming line from Windham Fabrics called Artisan Cotton. They’re cross weaves, which I always love. Half the colors are woven with two different colors to create the color you see and the other half are woven with the color and white to create a chambray look. I paired then with some fun Yuwa prints that have been in my stash to create a quilt along the lines of one I saw in Roderick Kiracofe’s book, Unconventional & Unexpected. I love the mix of solids and prints, and I especially love these little extras, like that light blue strip above. I often add something like that to my quilts on purpose because I love the look, though this time I really did cut incorrectly and had to add it to get the block up to size! 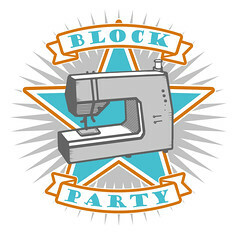 I made it a challenge to use up all the extra bits, so I saved all the trimmings from the blocks and put them together to create these extra little blocks for the backing. The solid is Robert Kaufman’s Essex yarn dyed in olive, which paired nicely with these solids. I quilted it with straight lines – which proved to be a bit of a challenge. I did have to unpick several lines of quilting when I found that my pinning job wasn’t up to par. With all those seams, these blocks tend to be kind of stretchy, so I went back and used the spray adhesive and pins. The thread is a variegated yellow/green and seemed a good match for all these colors. I finished it off with a binding in one of the blues, and you’ll have to trust me that it was a good choice! 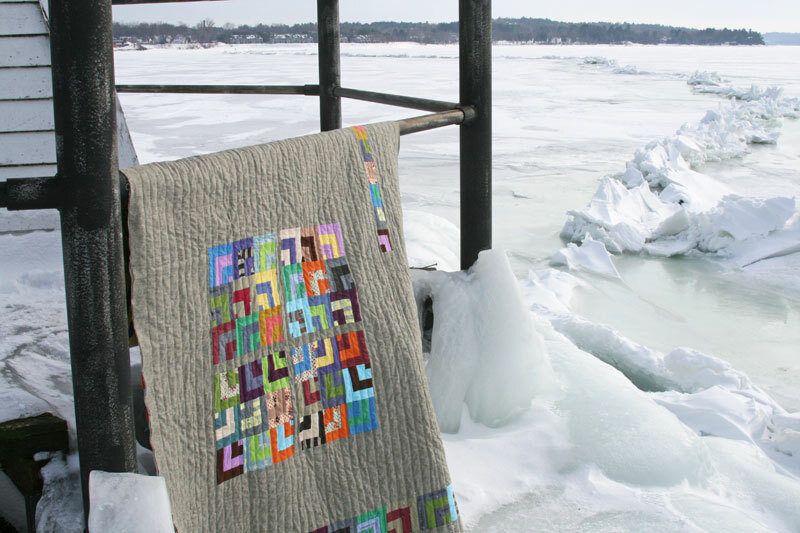 This entry was posted in [search] String Quilts, Fabric, Finished Quilts, Posts about Quilts, Quilts and tagged artisan cotton, cross weave fabrics, handmade, quilt, string blocks, string quilt, windham fabrics, yuwa. Bookmark the permalink. 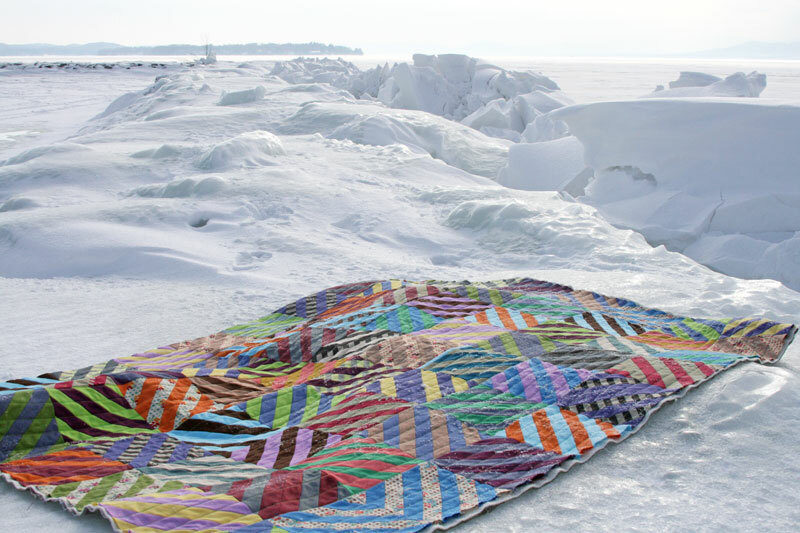 Great quilt (and stunning pictures!) I always look forward to seeing a new quilt from you. They don’t disappoint! I love this one, Ashley, which is nothing unusual when it comes to your quilts! Wow! This quilt is gorgeous! Gorgeous! It really does seem to shimmer. The finish looks great Ashley! 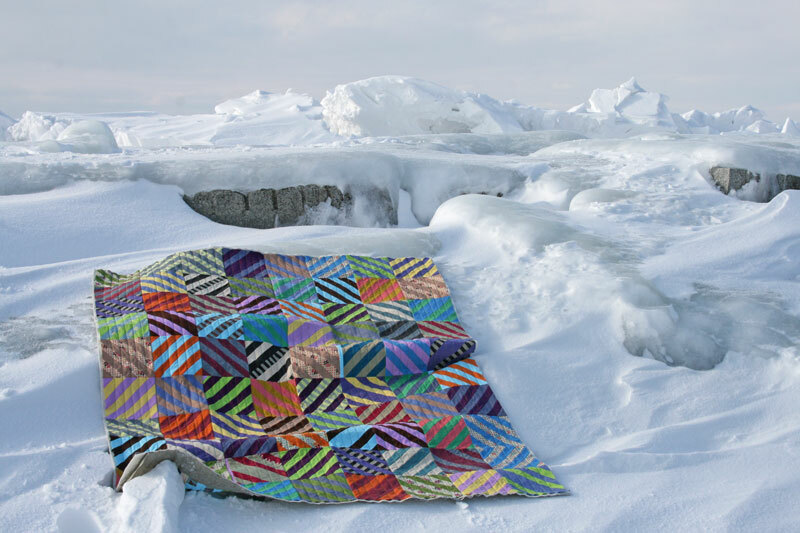 The quilt is beautiful, but the photography on this one is terrific! What a background!!! This quilt is beautiful! Your quilts and photos always inspire me! 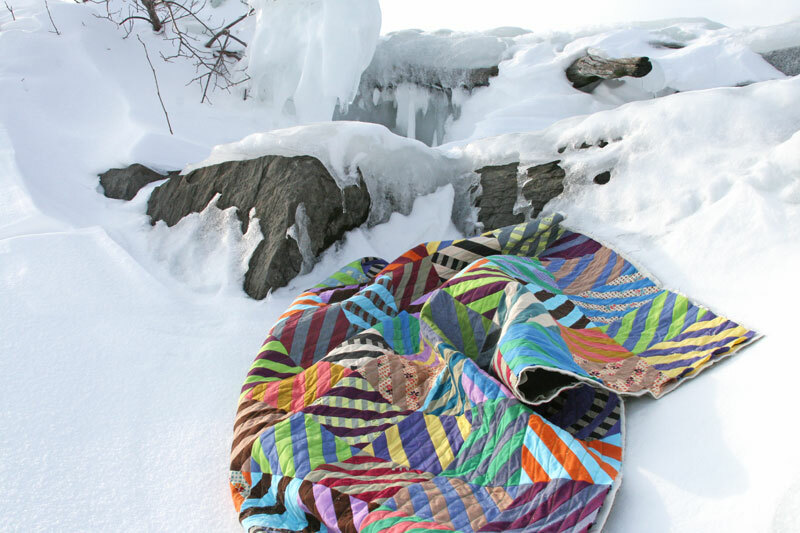 What a fun place to photograph your quilt! Beautiful quilt, too! Good Lord that alot of snow/ice!! And your quilt is so fun. You inspire me! Thank you for all you do… Now about the snow….been there, done that….Binghamton for 20 yrs. Now back home in the South!!! I love it, and I think I like the back even more than the front. 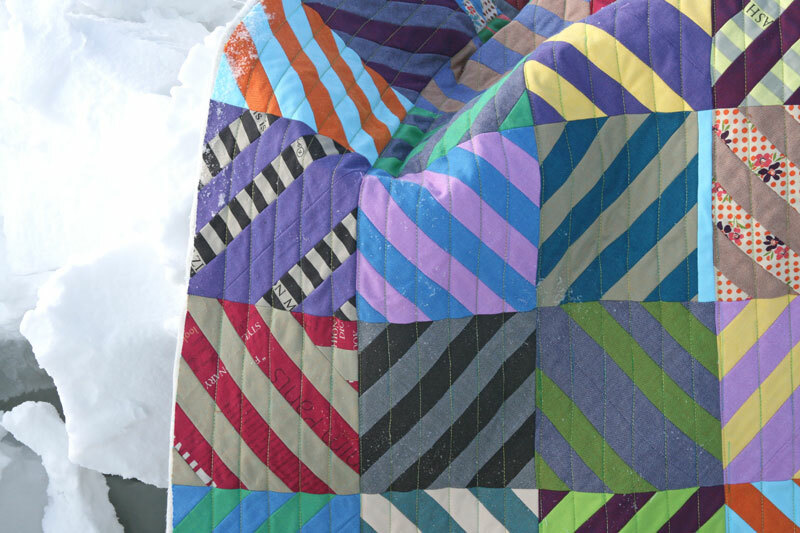 The fabrics are lovely, and you have such an eye for combining them and adding those little unexpected pops of color like the oops blue strip….lol. The olive background for the back is a color I never would have thought of, but it works so well with the colors. What a great photo opportunity. 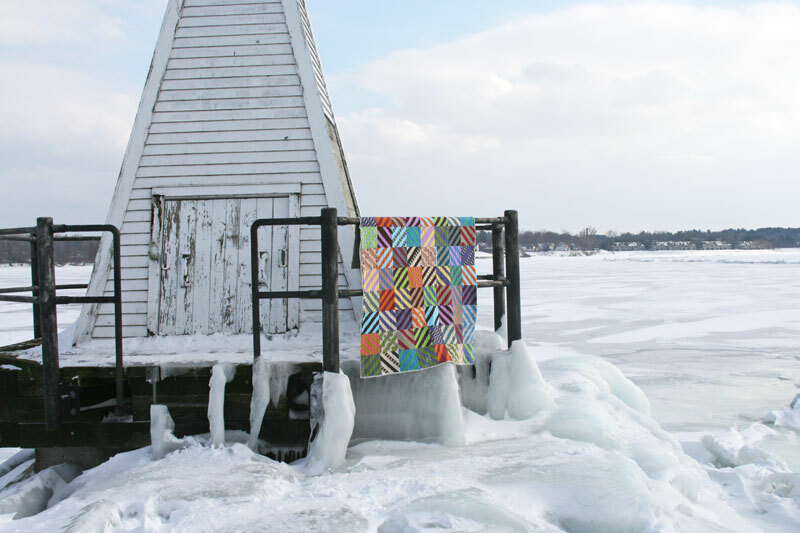 Beautiful quilt and pictures although you must have froze! What a gorgeous quilt! Ohhhhh…..my! I am in love with the back. Too beautiful for words. Wow it looks as if you stepped into the Antartic. And probably felt it! I know you’ve had a harsh winter but this brings it home. I love the quilt and given the fantastic back it is a truly two sided quilt. Lovely backdrop just sets it off! Love the quilt, photos are fantastic. Hope the icebergs are gone by June! 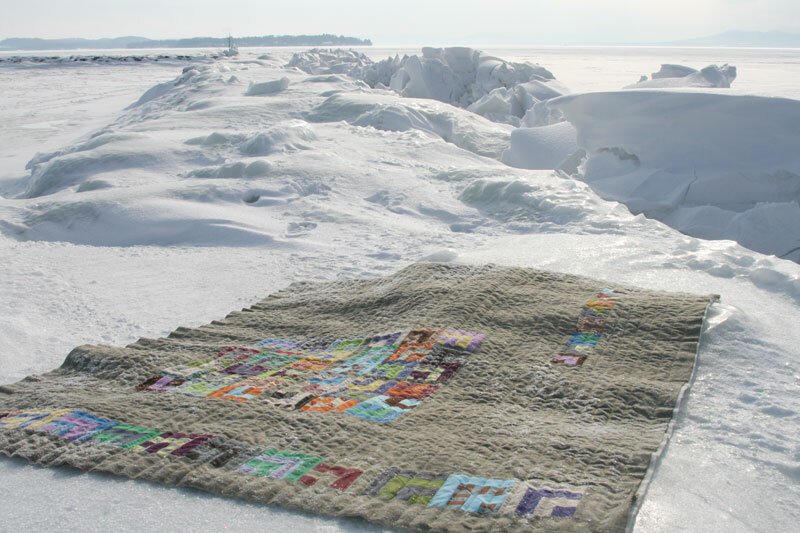 Absolutely love the Shimmering Strings quilt and the frozen Lake Champlain. Desperately wishing for some measurements for this quilt. Did I miss them somehow? Hope it is all melted by VQF! I have a collection of fabrics that are small narrow stripes. Now all I need to do is to cut diagonal blocks and almost have my quilt finished. I could cut the squares small and come up with a unisex baby’s quilt. Thanks for stimulating my imagination. Where is this – love cold weather !! !